Headed to Ireland, I was most curious about the western coast of several peninsulas that jut into the Atlantic from County Kerry. It’s one of those remote places where the people make a romantic, aesthetic virtue of bleakness and bitter winters. It’s nothing like Fort Lauderdale or Blackpool. There are no waterfront casinos or boardwalks, no crowds of condos offering exclusive views of this one-of-a-kind ocean. First we circle the Dingle Peninsula, stopping first at a fishermen’s harbor on the north shore. Then we cross the peninsula’s mountainous spine on a narrow, winding road. 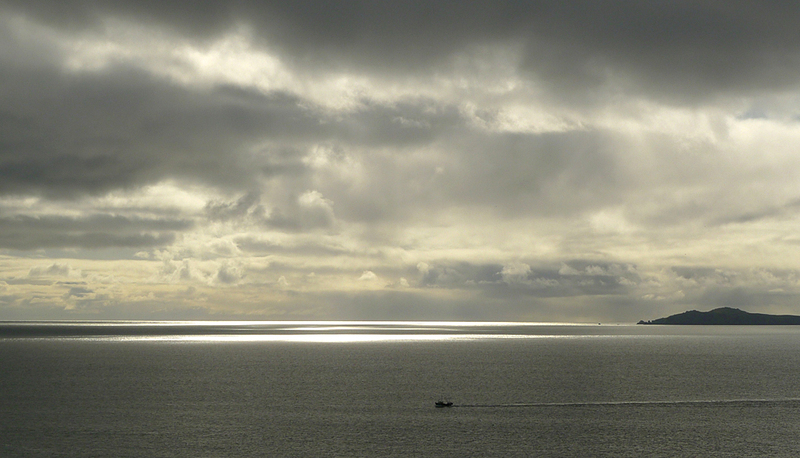 From one point, we can swivel our view from the peninsula’s north coast to the south. On the south coast is the peninsula’s only town, whose name is under dispute. 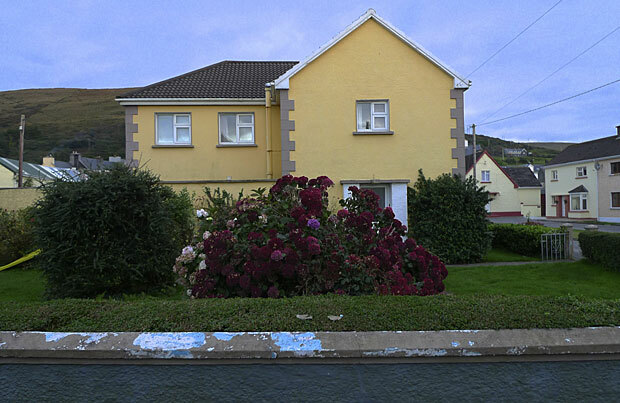 Irish law requires road signs in the Irish-speaking region to use the Irish name, “An Daingean,” while the locals paint in the English name “Dingle,” to let tourists know their whereabouts. 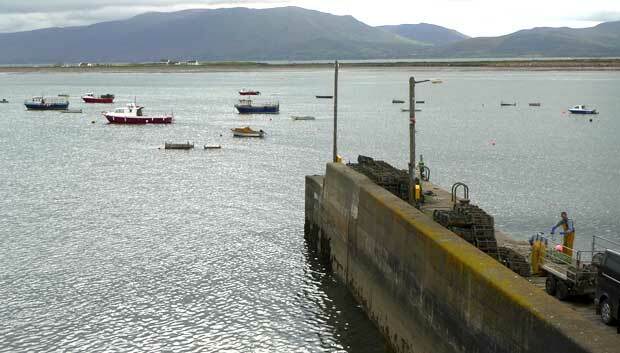 Much of Ireland’s fishing fleet is based on the peninsulas of County Kerry, surrounded by sea. 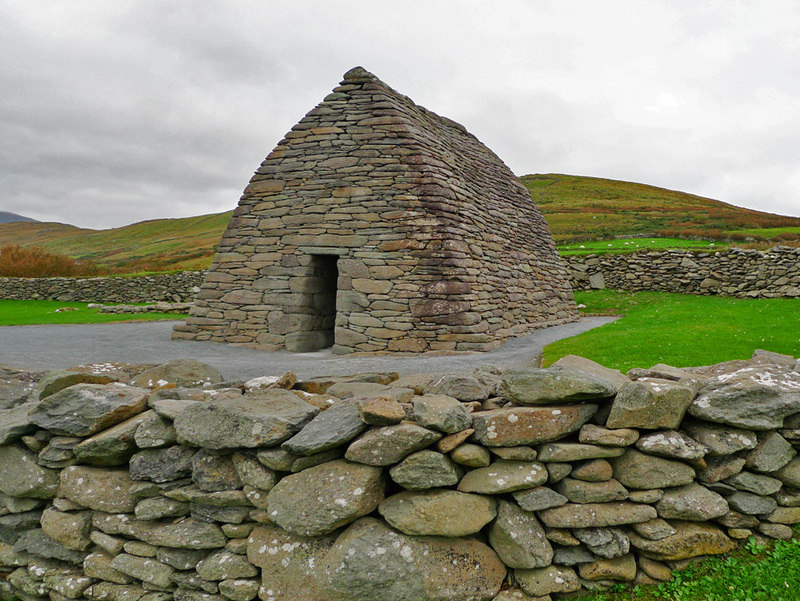 To the west and northwest of town are remains of ancient dry-laid stone structures, including a tiny (10 x 15 feet) church, the Gallarus Oratory, built 900 to 1500 years ago. 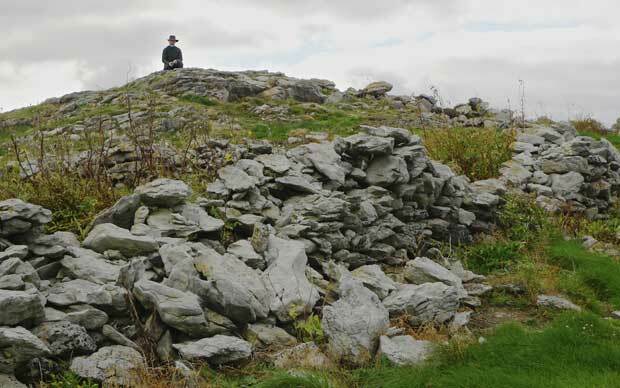 The next day we drive to the next peninsula to the south, Iveragh, where guidebooks prescribe a route called “the Ring of Kerry.” After a late start, we cross only the north side of the peninsula, reaching the town of Cahersiveen before dinnertime. 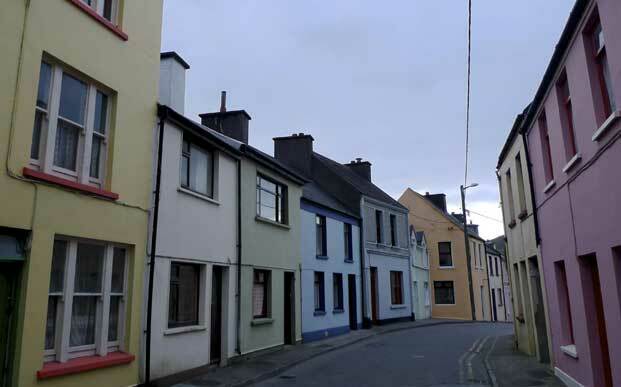 This is the home area of Daniel O’Connell (1775-1847), an attorney and politician who campaigned in vain for Irish home rule under the British crown. He opposed slavery in America as well as Britain’s anti-Catholic and anti-Jewish laws. 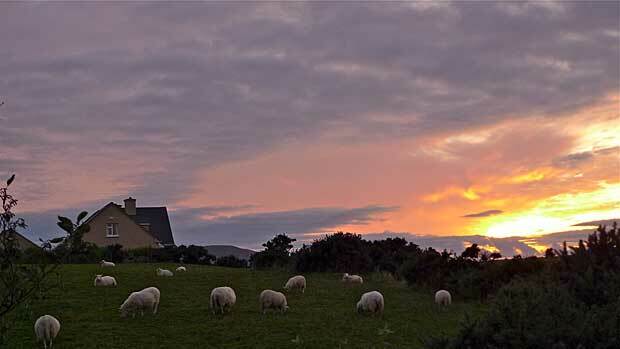 The big church in Cahersiveen is named for O’Connell. At dusk we wander up Old Market Street toward the bay. A few blocks from the high street, rowhouses give way to yards with sprawling hydrangeas (above) and sheep (below). 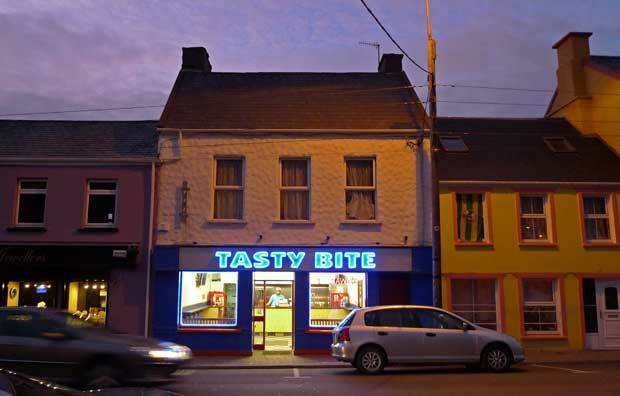 On the high street, the Tasty Bite diner is open for business as we head back to our hotel in Killarney (below). A gypsy-jazz band entertains on Dublin’s main shopping promenade.